Wow. I was really hoping to see this word made. It's fantastic. I've been fascinated with the original on which it's based since the first time I saw it. I must say that I miss the upper grip section with the exposed metal. I'm unsure if the interpretation of the sword missing its grip section is entirely correct, but it sure is beautiful in both forms. Wonderful! Such a beautiful sword and your conformation seems perfect. This is the kind of sword that makes you wonder why people need 'fantasy'. I've been wanting to do a more exacting replica myself... I wish I would've known about this..
the rest is almost exactly recreated according to original sword. Beautifully done. Really clean execution. .. and here you can see the comparision - detail from original 15thC. sword and my reconstruction..
That simply has to be the BOLDEST cross I've ever seen on a longsword. And the sword as a whole looks both bold and classy! I'm impressed with your work! I wish I could afford to have something like this commissioned. Let me know if someone is interested please! if you want talk about this - send me a priv message - thanks! Thanks for posting your work here. It seems like you came as 'a bolt out of the blue' not long ago (I hope that English expression makes sense) and now every week you reveal another piece that just keeps getting better. Ok, I'll bite. How much is this fine beast? The price is listed right up there. Thanks, weird I missed that. We are lucky to have you Nathan! Thank you all for very kind words. 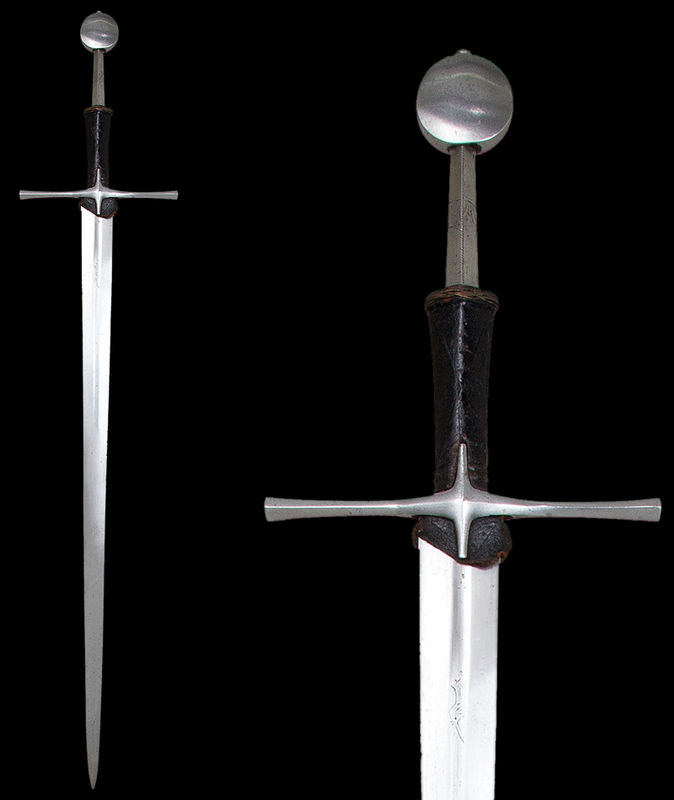 some news - the sword is already SOLD - it was sold yesterday evening. I must say that you've done a superb job with this sword! The original piece (Acc. No. 14.25.1196) is actually somewhere near the top of my list of swords to examine in detail next time I'm in the Met, as I missed it the first time. 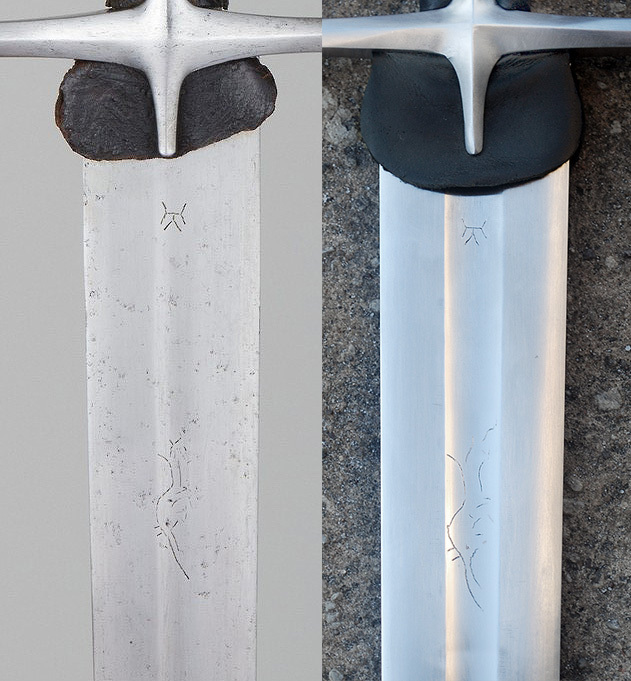 In my opinion, and based on pure aesthetics, it is one of the most outstanding late medieval swords. Considering that it has been known to scholars and sword enthusiasts for so long (Samuel Rush Meyrick bought it in London in 1818), I'm surprised that it hasn't seen much in the way of formal publication in more recent years.